Howard Panter and Rosemary Squire have topped The Stage 100 for a record-breaking sixth time in a row. The husband and wife team are co-founders and joint chief executives of Ambassador Theatre Group, the UK’s largest commercial theatre operator. They have now topped The Stage 100, which lists the 100 most influential people in UK theatre and performing arts, every year since the 2010 list, after they completed the £90 million acquisition of rival group Live Nation’s UK theatres. Since then, ATG has further expanded, buying its first Broadway theatre in 2013. It is also understood to be in talks for a second Broadway theatre, as well as a venue in Australia. The group is majority owned by Providence Equity, which bought the company in 2013. However, ATG’s growth in the UK has not been without its critics. A number of comedy acts have hit out at the group’s extra charges on tickets to consumers, while theatre producer David Johnson criticised ATG’s “Easyjet/Ryanair mentality”. Panter and Squire have now topped the list on six consecutive occasions. Andrew Lloyd Webber topped the list for five years from 2001 to 2005 inclusive. The Stage 100 was launched in January 1997 and is now in its 19th year. Elsewhere in The Stage 100 for 2015, Cameron Mackintosh – another former number one – climbs back up the list to number two, following a year which saw him acquire two West End theatres and reopen Miss Saigon in the West End and Les Miserables on Broadway. Commercial theatre producer Sonia Friedman was placed at number three, her highest position ever, after a year which saw her shows dominate the Olivier Awards. David Lan, artistic director of the Young Vic, was also one of the year’s highest movers, placing sixth alongside his executive director Lucy Woollatt. Meanwhile, Shakespeare’s Globe also fared well, with its highest placing ever at number seven for artistic and executive directors Dominic Dromgoole and Neil Constable. This marked the first time that Shakespeare’s Globe has ever placed above the Royal Shakespeare Company in The Stage 100. Another high profile new entry was architects Steve Tompkins and Graham Haworth, whose Haworth Tompkins firm was recognised with the Stirling Prize in 2014 for its work redeveloping the Liverpool Everyman. 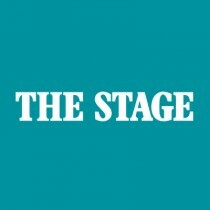 The full 100 appears in the January 1 edition of The Stage.